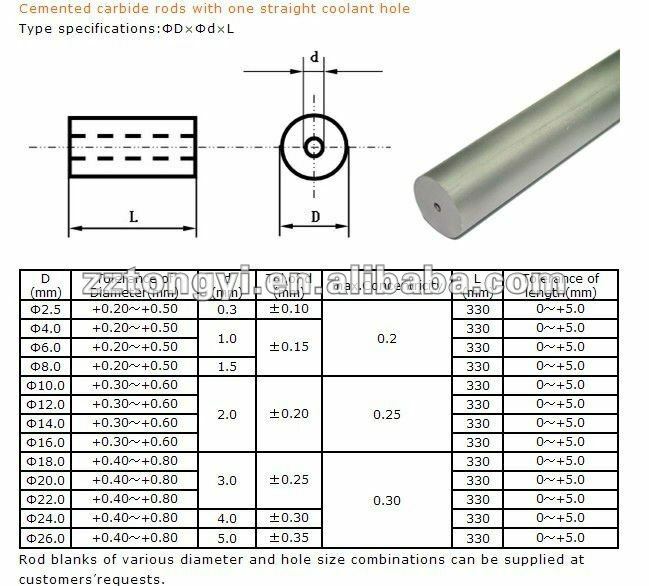 Tungsten carbide rod is a kind of carbide cutting tool. It is suitable for rough grinding and treating metal and nonmetal material. 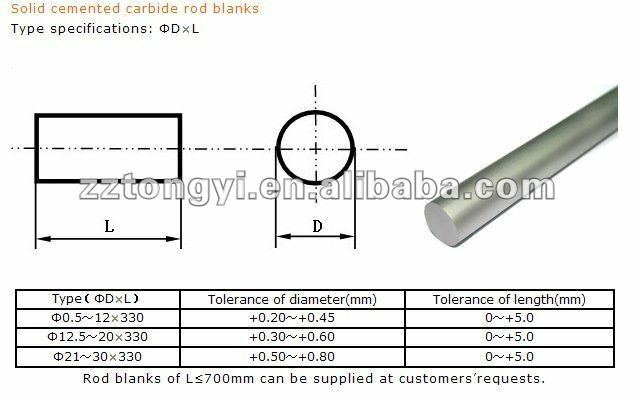 This carbide round bar can also be used in automatic and semi-automatic lathe. This product is made according to the American Society for Testing and Materials International ASTM B777-07 specifications. 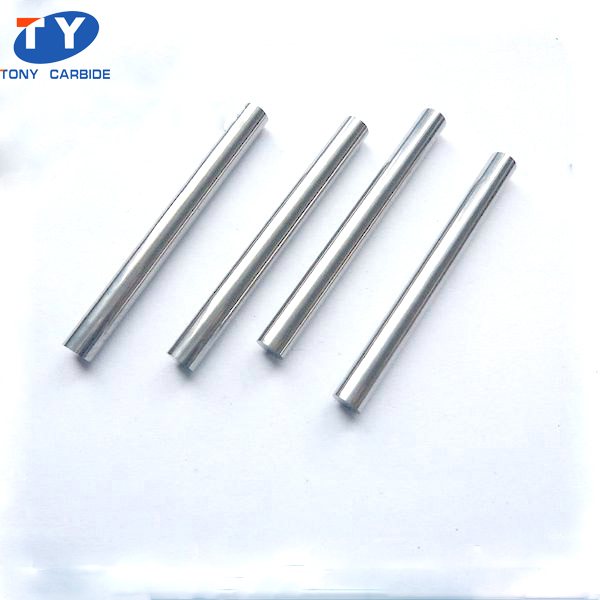 Tongyi tungsten carbide rod characterizes excellent wear resistance and bending strength. Tungsten carbide round bars are often used in the manufacture of cutting tools for the metal, wood, plastic and other industries where hardness and wear resistance is required. They are also used to make various drills, PCB cutters, clock and watch tools, integral milling cutters, gravers, etc. 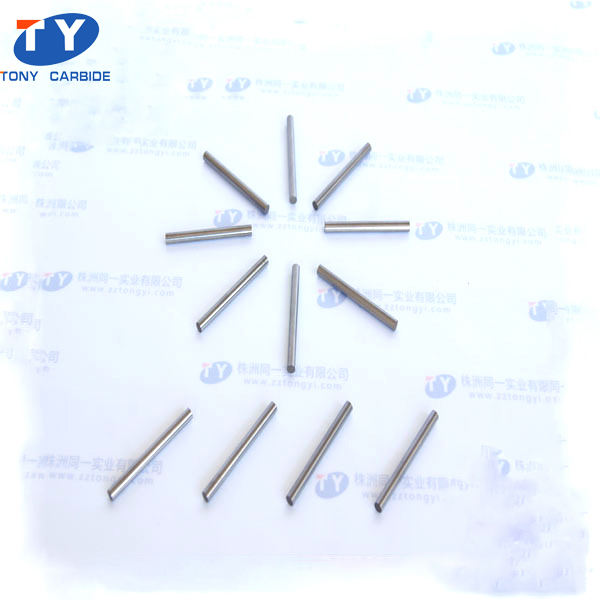 Tungsten carbide rods can be made into carbide punches, mandrels, drilling tools, etc. Recommended grades are TYK30 (YL10.1), TYK40 (YL10.2), YG8 and YG6X. YG8 carbide round bar is well suited for the semi-finishing and rough finishing of cast iron and light alloy, and the milling of cast iron and light alloy steel. YG6X type is suitable for the finishing and semi-finishing of cast iron and non-ferrous metals. This tungsten carbide rod can also be used for treating manganese steel and quenched steel. We research and develop more suitable formula according to our clients’ usages. 1. Our tungsten carbide round bars are marked by their excellent tensile strength, corrosion resistance, wear resistance and hardness. 2. With our rich industry experience, we manufacture and supply a wide range of tungsten carbide rods. 3. We also provide custom service to meet the individual customer’s needs. 4. Our company promises fast delivery. Samples and quotes are available if necessary. 5. 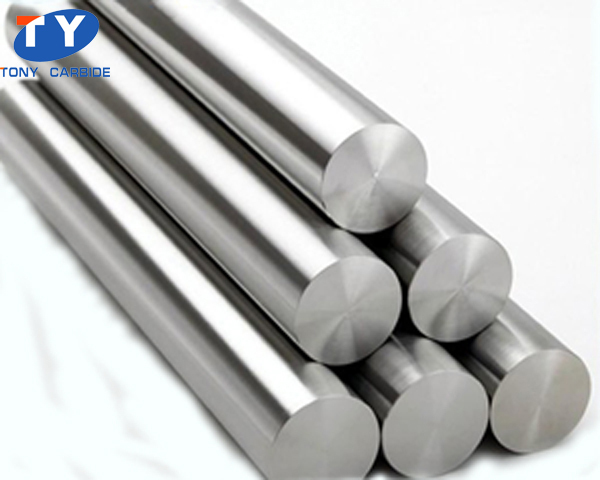 Tongyi carbide round bars have obtained the certificate of quality management system. All of our products are produced under strict supervision. 1. Tensile strength, used to indicate the material’s overall strength, is the peak stress it can withstand before it breaks. 2. Corrosion resistance describes the material’s ability to prevent deterioration caused by atmosphere, moisture, or other medium. 3. Wear resistance indicates the ability to prevent surface damage caused by contacting with other surfaces. 4. Hardness of carbide round bars (commonly measured as indentation hardness) describes their resistance to permanent surface deformation. 5. Rod can be supplied in standard metric and imperial sizes, and also ground to ultra-fine finishes to customers’ specifications. 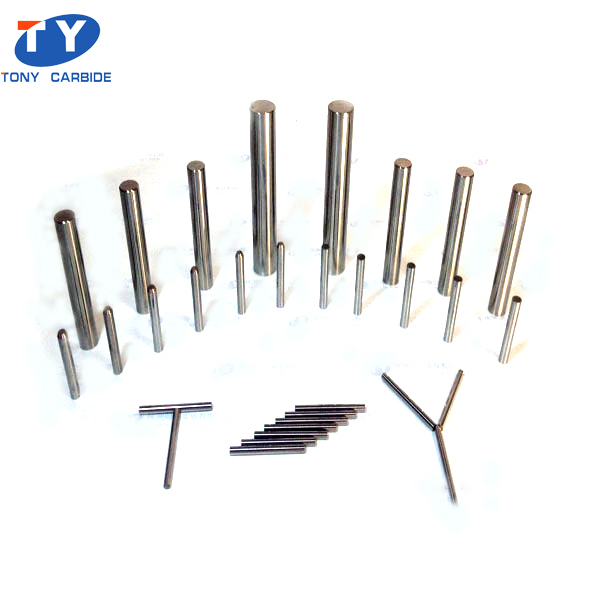 As an important manufacturer and supplier of carbide products in China, Zhuzhou Tongyi Industry Co., Ltd. offers a variety of carbide products, including tungsten carbide buttons, carbide drill bits, carbide brazed tips, carbide drawing dies, carbide round bars, carbide blanks, carbide anvils, etc. We make carbide products in both standard and custom configurations. Our tungsten carbide rods have been exported to many countries in South East Asia, EU and Americas. If you are interested in our products, please feel free to contact us.